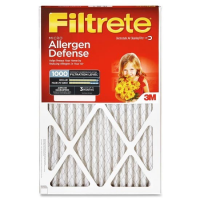 Outperforms all competitors' 3 month, 1"" filters. Captures: Airborne micro particles, including smoke. Airborne allergens, including pollen, pet dander, mold and bacteria. Large particles like dust and lint.